Gov. Cuomo revealed a plan Thursday that would avert the shutdown and the acting MTA chief declared it a done deal -- but is it, really? In a surprise announcement, Gov. 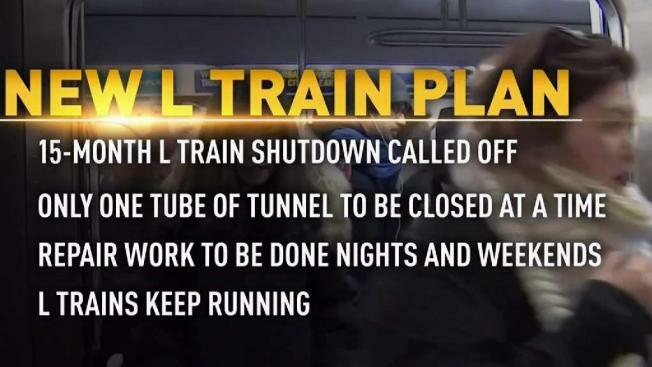 Cuomo says the dread L-train shutdown is called off. John Chandler reports. So is the dreaded L train shutdown really off? A day after Gov. Cuomo announced a new tunnel design would mean a reprieve for the 225,000 people who would have been affected by the 15-month line closure, questions remain. The governor's office issued a statement Friday calling on the MTA board to hold an emergency meeting to determine the feasibility of the plan. It came less than 24 hours after acting MTA chairman Fernando Ferrer ended Cuomo's lengthy and marginally confusing press conference by declaring firmly, "No L-pocalypse." 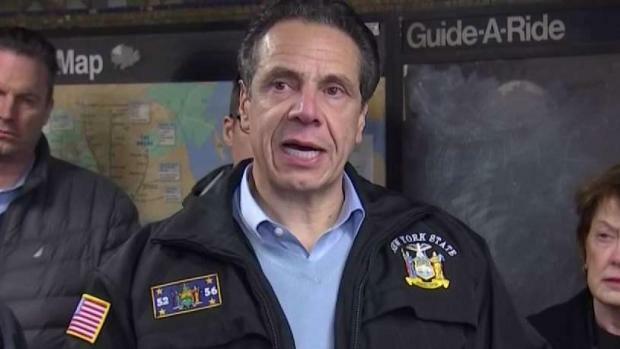 In that press conference, Cuomo said the MTA board did not need to approve the plan in order for it to move forward, the New York Times reported. Apparently, that's not the case, as Cuomo pivoted quickly to call for an emergency meeting. Gov. Andrew Cuomo got a firsthand look at the L train tunnel months ahead of its shutdown in April. Tracie Strahan reports. The shutdown of the line, which hundreds of thousands of people use to commute between Manhattan and Brooklyn, was deemed necessary to repair damage from Sandy. It had been set to start in April and was feared to become one of the biggest transit disruptions ever to New Yorkers. So, as Cuomo said on his Friday call, "What's next?" "What's next is the MTA board has to vote on whether they want to pursue the plan. If they pursue the plan there's secondary questions - they'd have to renegotiate the contract with the contractors because the scope of work is different, et cetera," Cuomo said. 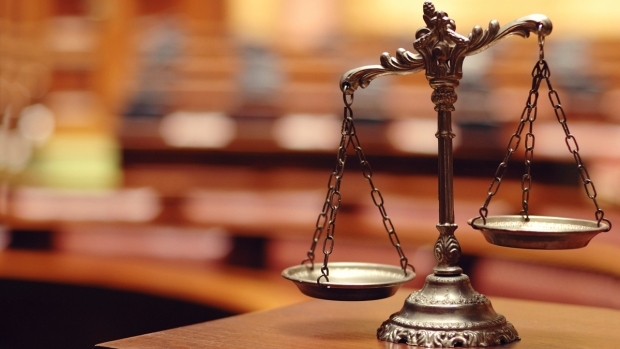 "So there's a number of details they would have to pursue. But the first question is, does the MTA want to pursue the plan? And that requires the board to hear the plan and make the decision." The Times reports the board tends to go along with the authority's decisions, but, politics as usual, it doesn't always work out that way. As Cuomo said on a Friday conference call, "It's up to the MTA board and those 17 members which are appointed by various political entities and have their own perspectives." A date has yet to be set for the board to consider the proposal. All repairs on nights and weekends, and only one tube will be closed at a time for repairs, allowing the second tube to run trains in both directions. Weekday and rush hour schedules will be unaffected. On nights and weekends, the L train will be running with 15-20 minute headways which is no different from the current overnight service. Repairs are expected to take between 15 and 20 months, depending on how much benchwall will need to be removed. Get full details on the plan to avert the shutdown here.